Now here's a low-maintenance relationship everyone loves! 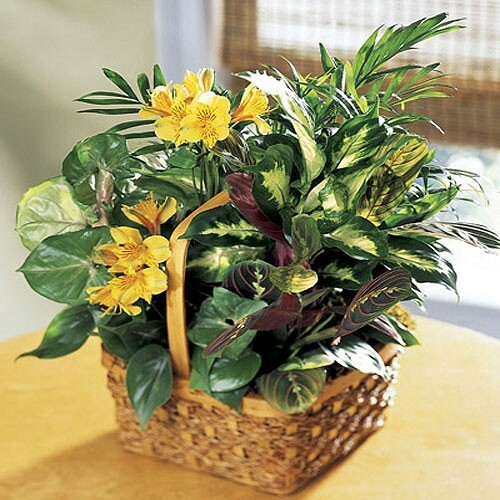 Potted green plants with yellow flowers that require very little attention - though you would never guess it from their beautiful appearance and presentation. All well arranged in a basket for an extra special delivery impact!